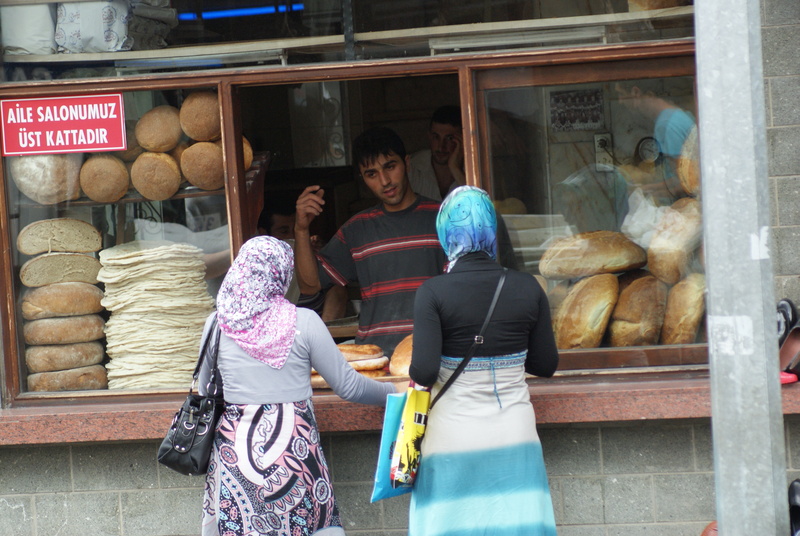 The following morning was dedicated to exploring the markets and back streets of Trabzon. Trabzon has a central market were vendors from outlying villages come into town to sell their fruit and vegetables. 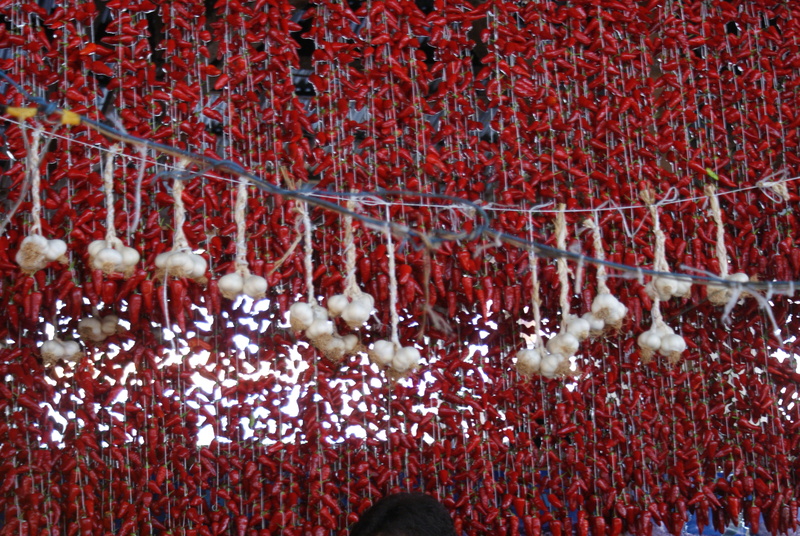 But this wasn’t the highlight – that was actually the experience of wandering around the backstreets, which were extremely busy with bakeries hard at work, fruit being delivered and butchers busy at their stalls. 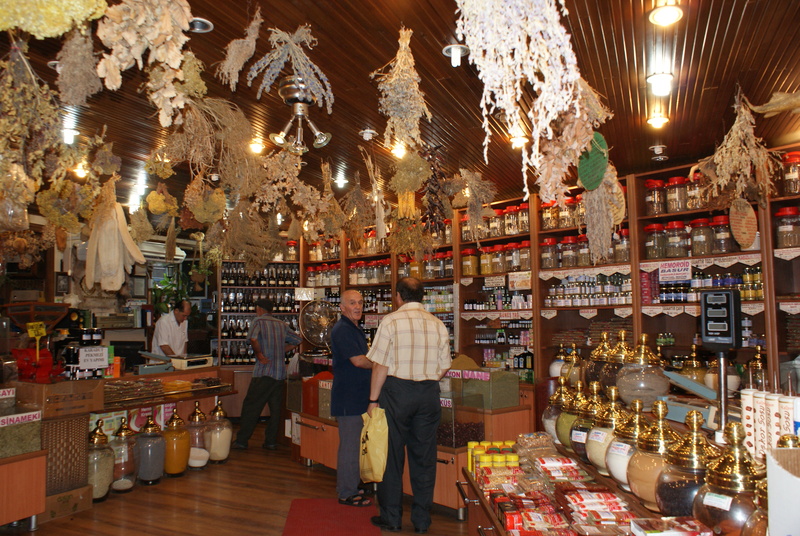 We found a herbal medicine store which reminded me of the Chinese herbalists that we have in Vancouver , with all kinds of dried herbs and animal parts hanging from the ceiling – it was fascinating just looking around. 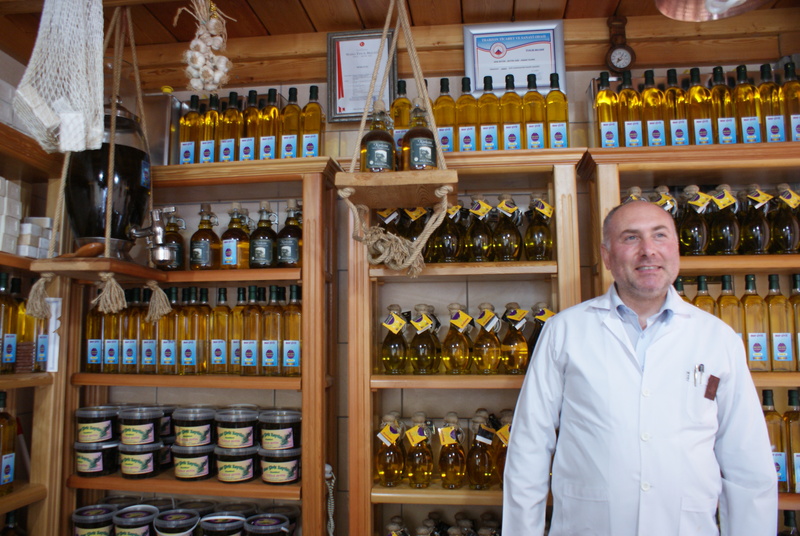 We also found a specialty olive store – we went in and asked if we coud take photos. The owner was so proud of his tore that he put on his white jacket, made sure his pens were in place and then posed proudly with us. He gave us olive soap as a gift. He was unbelievably friendly – and very honored to be part of our trip I think. After lunch we went to the local mall – a huge all, on a par with anything we have in North America – the boys went on a train that chugs along the floor of the mall, and then afterwards we went to see a movie. After all our adventures it wa really fun to be in a completely modern movie theater with our popcorn! The kids deserved it. We made sure to go see a movie with the original (English) soundtrack. A lot of kids movies are dubbed into Turkish so we made sure to avoid those. That was our final day in Trabzon – we hadn’t seen any of the “sights” or the museums – and Trabzon has a good selection of worthwhile attractions – all we did was to blend into the city, observe the life going on and have fun. PS: These days I am planning great family trips to Turkey. Click here for more info.